There is nothing quite like summer in the city! Outdoor alfresco dinners follow warm summery days. The city is always bustling with people out enjoying this great weather! 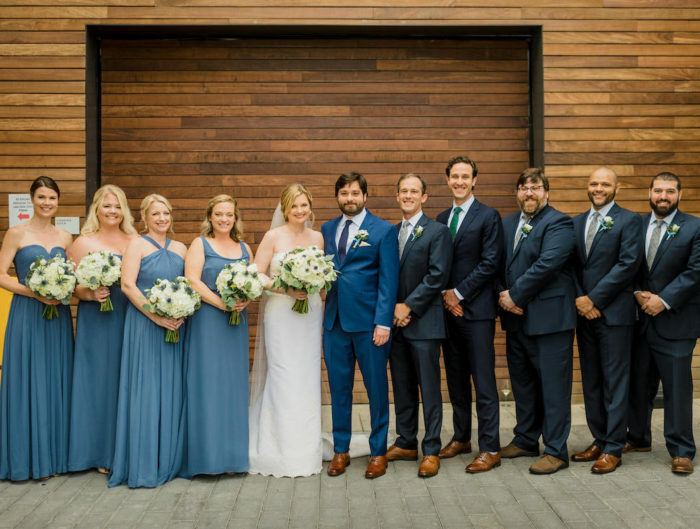 To kick off this week, we are sharing a lush greenery filled summer St. Francis Hall wedding by one of our favorite DC wedding planners, Bellwether Events. Amanda and Don started their day exchanging vows and rings at Saint Michael the Archangel Church in Maryland with a traditional Catholic wedding ceremony. We are absolutely in love with the bride’s high neck lace gown; it feel vintage yet so chic all at the same time! 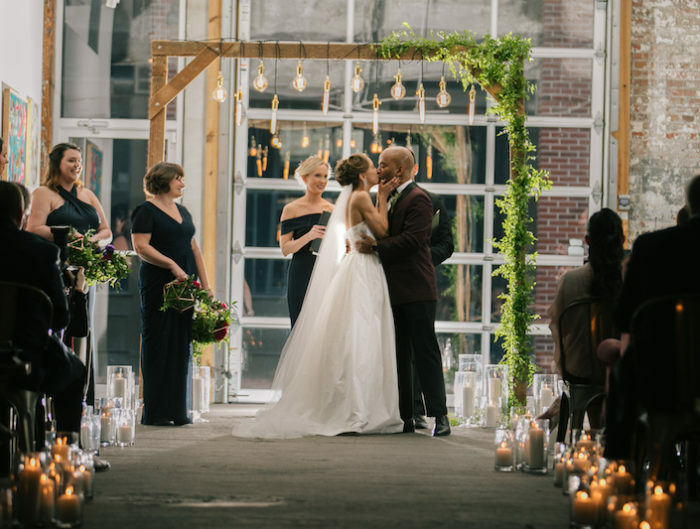 Following the ceremony, guests were welcomed to St. Francis Hall where the iconic DC wedding venue was transformed with tall centerpieces of wild greens and low lush compotes filled with seasonal summer peaches by Lynnvale Studios. By mixing the fruit inspired centerpieces with floral vines and wooden farm tables, each kings table created a romantic and unique setting that really embraced the summer atmosphere. At the end of the night, euests were given personal rum cakes made by the bride Amanda’s aunt! This was the a great way to cap an amazing night. Congrats to the happy couple and thank you for sharing your wedding day with us! 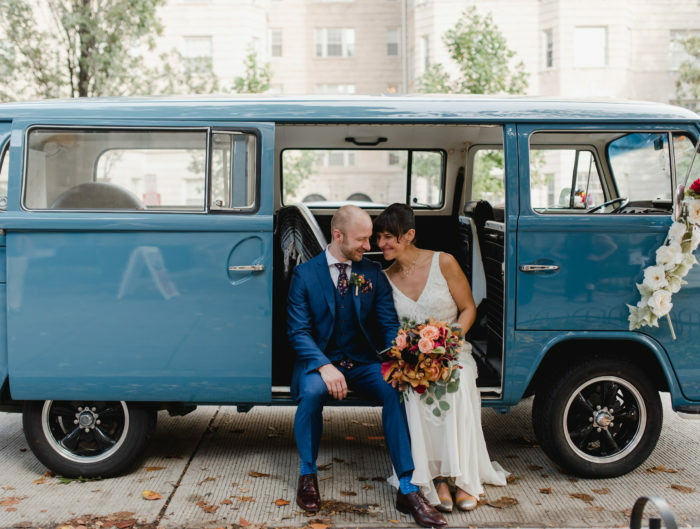 Make sure to check in all week long for more great DC wedding inspiration and ideas and happy Monday!